Samsung’s recent Galaxy Note 4 apparently edged out the recent Apple iPhone 6 Plus in terms of display quality, even though the analyst reviewing it basically called Apple’s displays the best he’s seen to date. In a report released Monday, DisplayMate’s Raymond Soneira—who does nothing more than test smartphone displays, by the way—called the iPhone 6 Plus display the “best performing smartphone LCD display that we have ever tested,” Soneira wrote. 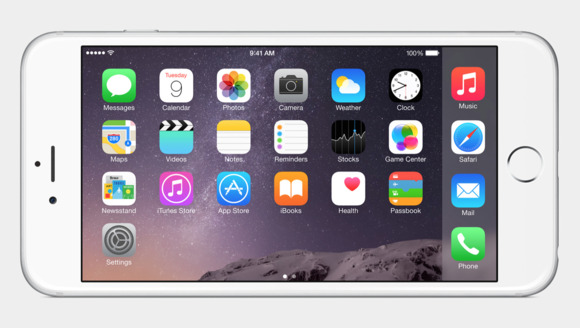 “The iPhone 6 Plus has raised the bar for top LCD display performance up by a notch,” he added. High praise indeed for the iPhone 6 Plus. But that doesn’t make the iPhone 6’s display the best, period—an odd little caveat that may inspire a new round of back-and-forth between Samsung and Apple fanboys. “We recently gave the Samsung Galaxy Note 4 our overall Best Smartphone Display award, and for the time being that continues for all of the reasons originally mentioned there,” Soneira wrote in his report. Apple’s iPhone 6 uses a 1334x750, 326-ppi pixel display, while the iPhone 6 Plus has a 1920x1080 pixel display with 401 ppi. Apple calls both displays ‘Retina HD,” and executives made a big deal at the iPhone 6 launch describing how good they look. According to DisplayMate’s tests, the iPhone 6 Plus breaks all sorts of records, including the highest peak brightness, lowest screen reflectance, highest (true) contrast ratio, highest contrast in ambient light, and more. But it doesn’t exceed competitors in terms of resolution, pixels per inch, and absolute color accuracy. Still, both displays should satisfy casual users and creative types alike. With a nearly perfect 99-percent sRGB color gamut for the iPhone 6 and 101-percent for the iPhone 6 Plus, the displays will be almost be perfectly color-accurate. And in a nod to anyone who uses their phone outside in the bright summer sun (which is, naturally, everyone), both phones combine high screen brightness and low screen reflectance, critical to outdoor performance. Specifically, they both provide 550 cd/m2 luminance, DisplayMate found. 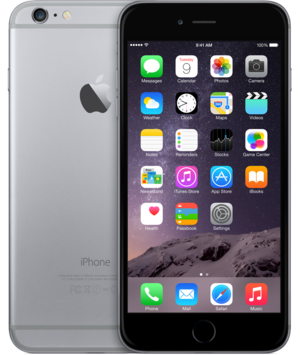 In general, the two iPhone 6 displays are also both more power-efficient than other full-HD LCD smartphones. But the Note 4 outclassed the iPhone 6 and 6 Plus when used to view a mixture of different images, consuming 21 percent less power. If the display were simply powered on to a white screen, however (such with a flash light app), the two iPhone displays would consume 45 percent less power than the Note 4. “The iPhone 6 and 6 Plus are the current Best Mobile LCD Displays and the Galaxy S5 and Galaxy Note 4 are the current Best Mobile OLED Displays,” DisplayMate concluded. So as we concluded in our review of the iPhone 6 and 6 Plus: Yes, bigger is indeed better.